One of the most interesting pieces of our business here at Falcon Structures is our ability to work with a variety of industries. Our client base is filled with businesses of all sizes covering the retail, industrial, construction, oil and gas and food and beverage industries, just to name a few. The use of repurposed shipping containers for all of these businesses has been utilized in a variety of solutions to simplify their business operations. In a recent blog post, we touched on the decision for any client as to the rental or purchase of a conex box. Based on the needs of the business situation at hand, the rental of a repurposed shipping container may be the right solution. Our client 512 Brewing Company recently came to us with a storage need inside their distillery and warehouse locations. This Austin, Texas based craft brewery runs a distillery and produces over ten unique brews. To create some of their most special productions, barrel storing and aging is used to gain unique flavors from wooden bourbon casks. These wooden casks store beer over months to create the ideal flavor. The casks are supported on wooden pallets and require a stable, secure environment. While traditional stainless storage is also utilized, the rotation of product through seasonal brewing requires that their product is accessible. The use of repurposed shipping containers was the solution that 512 needed to increase their distillery and warehouse storage space and offer easy access. Through the structure’s inherent design, the stacking of 20’ foot containers has given the brew masters at 512 Brewing Company the ability to stack the wooden barrels and stainless structures that contain their premium brews. These 20 foot containers offer stabilized and dry protection for this liquid gold. 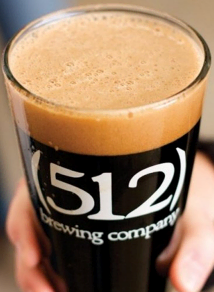 This contribution to the growth of the economy and the demand for the consumption of premium craft beer has speared an increase in production for 512 Brewery and other brewers. As we have experienced with other clients, temporary secure storage can often be needed at peak or seasonal production times. With the ability for delivery and pick-up in their rental contract, and the lease terms spreading the cost over a period of time, the decision to rent a repurposed shipping container met the needs of 512 Brewery’s business.